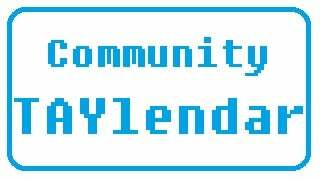 Hey there TAY, this is just a the community calendar Monday blip. Hey there TAY, this is just a the community calendar Monday blip. Just go check what goodies are coming up next month as we say good bye to June. Well here is the TAYlendar, and thanks again!